Almost all of the patients who are 60 years and older tend to develop cataracts, a common eye condition which leads to a cloudy vision. It is possible to remove cataracts with the help of surgery and this is among the most routine surgical procedures performed all over the world. In fact, in United States alone, over a million cataract operations are undertaken each year. 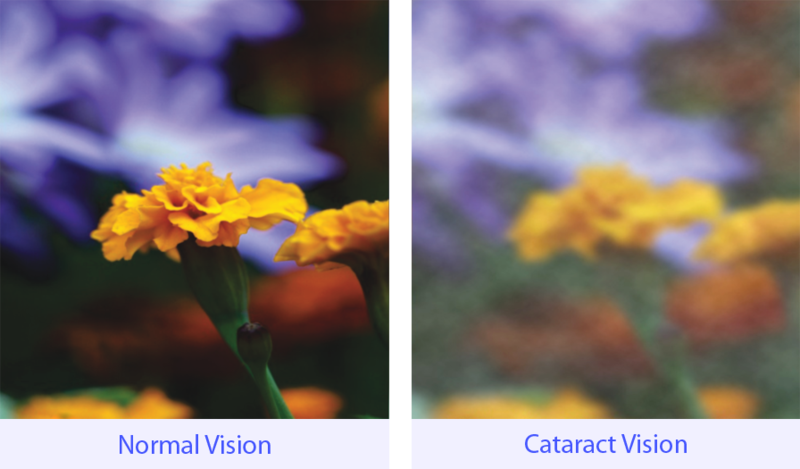 The cataract eye surgery involves removing of the unclear or cloudy natural eye lens and replacing it with a new synthetic lens that facilitates clear vision. This artificial replacement lens is termed as an intraocular lens or an IOL. These IOLs stay fixed in the eyes permanently and require no extra care after post-surgery healing. There are a wide variety of lens implants available, and two important types are multifocal and monofocal. While the aim of both monofocal and multifocal IOLs is to enhance spectacle-free vision performance, each of them works on different principles. Monofocal IOLs focus on just a single point and usually require the patient to wear reading glasses so that near vision can be optimized. It’s been more than fifteen years since monofocal IOLs got approved for implantation in America. A chief advantage of these lenses is that they can help correct presbyopia, a condition where the patient is unable to clearly focus on objects that are within proximate range. But multifocal technology has undergone significant improvements over the years and numerous patients now prefer multifocal IOLs over monofocal IOLs. While monofocal IOLs provide only a single-distance focus, multifocal IOLs allow you to enjoy clear vision at multiple distances. Multifocal IOLs can be described as tiered lenses. These lenses allow qualifying candidates to view near, intermediate and distant objects clearly, without the help of contact lenses or glasses. Doctors may also use multifocal lenses instead of monofocal lenses for correcting age-related presbyopia. There are a variety of different superior multifocal IOLs available in the market today and your doctor can guide you about which ones work best for your specific case. Multifocal lenses are applauded for the improved vision quality, less glare and fewer halos they offer. Several factors need to be taken into consideration choosing IOLs. For instance, your lifestyle has a huge impact on the type of lenses you get. Those who wish to remain spectacle-free, whether for professional or personal reasons, will benefit greatly from multifocal IOLs. Any implant can be inserted at the time of laser cataract surgery, but your doctor can help you decide which one will work best for you.